A tale of two worlds, told in brilliant color.Readers have loved bestselling author Jaclyn Moriarty since The Year of Secret Assignments. Now she gives them A Corner of White, the first in a suspenseful, funny, genre-busting trilogy that brings her fantastic characters, laugh-out-loud descriptions, and brilliant plotting to a fantasy setting. In another world, in the Kingdom of Cello, Elliot is in search of his father, who disappeared on the night his uncle Jon was found dead. The talk in the town is that Elliot’s dad may have killed Jon and run away with the physics teacher. But Elliot refuses to believe it. And he is determined to find both his dad and the truth. 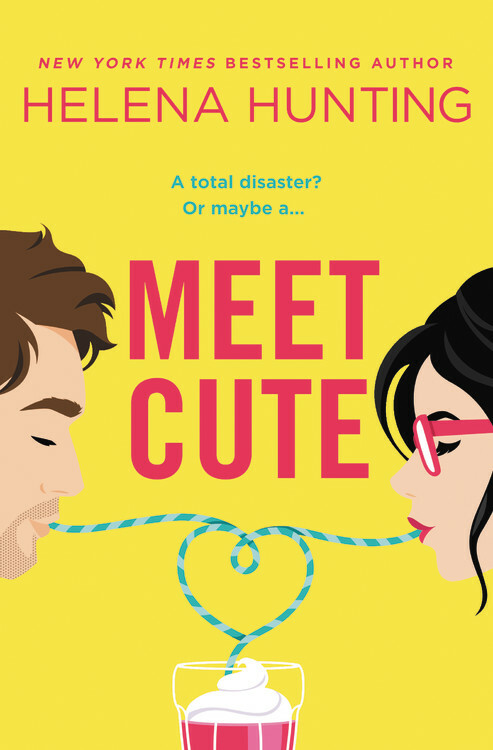 As Madeleine and Elliot move closer to unraveling their mysteries, they begin to exchange messages across worlds — through an accidental gap that hasn’t appeared in centuries. On both sides of the gap, even greater mysteries are unfolding — with more than one life at stake. 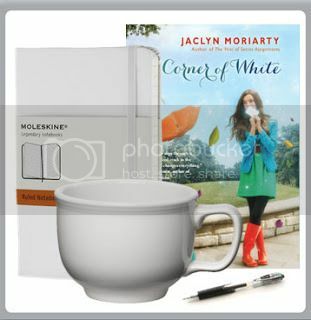 I am SO VERY excited to be part of this unique and fun blog tour for Jaclyn Moriarty’s A Corner of White. 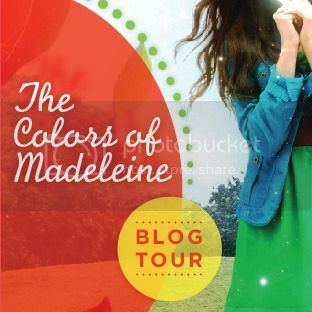 Today The Colors of Madeleine tour also stops by Angie-ville with a guest post from Jaclyn Moriarty introducing the character Belle! In our world, Madeleine is known for using bold colors in her clothing & accessories, but in the Kingdom of Cello, colors have a different role entirely. Read about Cello’s color attacks in The Colors of Madeleine, but in the meantime, here are some fun things from our world to enjoy! I reviewed this last week and absolutely adored this whimsical tale with its fleshed out characters. I can’t wait to read this book. Jaclyn Moriarty’s books are always come together at the end in away that blow my mind. This sounds like such a lovely book, not just from the description, but from your review as well! I must get my hands on a copy of this! Oh! And my favorite color is blue! It depends on my mood! But right now its either orange or mint! Oh my gosh, I need that mug! My fav colour is mint green! I’ve been looking forward to this book. What a fun tour! Yellow has been always been my favorite color. It always makes me happy! This book sounds like a super interesting concept. I can’t wait until I can get my hands on a copy!